Clients who previously used this form were given a password, click the above button to receive it. Client desires to hire a caregiver, also known as a “Newborn Care Provider” (hereinafter NCP) to assist with infant care. TLC for Kids, Inc. (hereinafter "TLC") agrees to make its best effort to locate a suitable NCP upon request by the below signed client ("client"). Client understands that a membership fee and a daily agency fee will be charged to client’s credit card. Caregivers are paid daily directly by client. • $250 deposit (non-refundable): Covers TLC membership fee (good for 1 year) and first five (5) agency fees for caregiver visits. • $30 per diem agency fee charged for each additional newborn care visits after the first five (5). Newborn Care Providers are paid $18.00- $28.00 per hour (rate varies based on selected caregiver). There is a seven-hour minimum for overnights and a four-hour minimum for daytime care. Some caregivers may require an additional contract for their services to be executed directly between client and caregiver. Client understands that TLC will charge a per visit agency fee to client's credit card for each visit based on current rates as listed above. If client is requesting more than 4 overnights per week, client understands that they may be set up with more than one caregiver to ensure safety and Best Practices. Client agrees to pay NCP directly for services rendered at the end of each visit. Client understands that the services provided by all TLC NCPs must be contracted through the TLC office. Client further understands that the use of a TLC NCP or the referral of a TLC NCP to a third party, without arranging the visit through TLC, is considered "theft of services" and will result in a charge of $1,800 in liquidated damages. In the event that client wishes to hire a NCP on a permanent basis, TLC agrees to negotiate with client in arriving at an acceptable placement fee. TLC's standard placement fee for a caregiver is 10% of the NCP's projected gross annual compensation, with a minimum of $1,500 for part-time (under 40 hours per week) and a minimum of $2,500 for full-time (40 or more hours per week). Client understands that TLC NCPs are not employees of TLC. They are either independent contractors OR employees of the client (nature of fiscal relationship to be determined and agreed upon by the client and the NCP). Client understands that client may be responsible for withholding and filing employment taxes for each calendar year in which the NCP payment exceeds the limits set forth in the Internal Revenue Code. Social Security numbers of NCP must be obtained directly from NCPs. 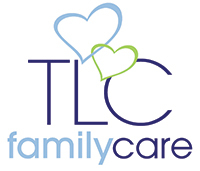 Client is not obligated to hire any caregiver introduced by TLC. All hires are at client’s complete discretion. If client cancels a confirmed session within 24 hours of the scheduled visit, client will be charged for four hours of the NCP's time in addition to the agency reservation fee. Client understands that NCPs are not trained by TLC, but are screened and vetted by TLC’s professional staff for their knowledge and experience in caring for infants. Each potential NCP brings a different level of education and experience. Client agrees to indemnify, release and hold harmless TLC, its agents, employees and officers for any and all claims, damages, and expenses, relating to or arising out of the services provided by NCP. Client understands that neither NCP nor TLC is in any way responsible for determining the health and wellbeing of the infant or the mother. The NCP is engaged strictly to assist parents with infant care. Neither the NCP nor TLC is responsible for any health or medical assistance regarding the infant, the mother or any family member. This agreement contains the entire understanding between the parties and shall be interpreted and construed in accordance with the laws of the State of Missouri. By entering your credit card number below you authorize TLC For Kids to charge an annual membership fee along with any additional fees as outlined in the services agreement above. Please note we accept Mastercard, Visa, Discover or AMEX only.